The fuel breeding or fuel conversion plays a significant role in the fuel cycle of all commercial power reactors. During fuel burnup the fertile materials (conversion of 238U to fissile 239Pu known as fuel breeding) partially replace fissile 235U, thus permitting the power reactor to operate longer before the amount of fissile material decreases to the point where reactor criticality is no longer manageable. It must be added, natural uranium consists primarily of isotope 238U (99.28%). All commercial light water reactors contains both fissile and fertile materials. For example, most PWRs use low enriched uranium fuel with enrichment of 235U up to 5%. Therefore more than 95% of content of fresh fuel is fertile isotope 238U. There is the potential for increasing the recoverable energy content from the world’s uranium and thorium resources by almost two orders of magnitude by converting the fertile isotopes uranium-238 and thorium-232 into fissile isotopes. When C is unity, one new atom is produced per one atom consumed. It seems fertile material can be converted in the reactor indefinitely without adding new fuel, but in real reactors the content of fertile uranium 238 also decreases and fission products with significant absorption cross-section accumulates in the fuel as fuel burnup increases. This equation indicates that increased fuel enrichment results in a decreased value of C(0), the initial conversion factor. As the content of fissile material decreases with fuel burnup, the conversion factor increases. As this happens an increasing fraction of the fission comes from plutonium. The role of the reproduction factor, η, is evident. 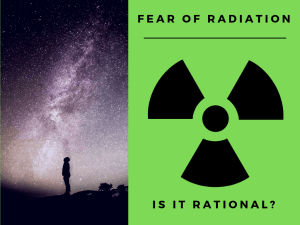 The rate of transmutation of fertile-to-fissile isotopes depends on the number of neutrons in excess of those needed to maintain the chain fission reaction that are available. For conversion to occur, it is necessary that η must be greater than unity. Almost all reactors operate, at least to some extent, as converters. For fuel breeding to occur, it is necessary that η must be greater than 2. 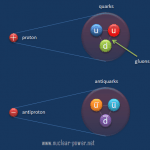 One neutron to sustain chain reaction and one or more neutrons on the average must be absorbed in fuel and must produce another fissile atom. For natural uranium in the thermal reactor η = 1.34. As a result of the ratios of the microscopic cross sections, η increases strongly in the region of low enrichment fuels. This dependency is shown on the picture. It can be seen there is the limit value about η = 2.08. For a fast neutron spectrum, there are differences in both the number of neutrons produced per one fission and, of course, in the capture-to-fission ratio, which is lower for fast reactors. The number of neutrons produced per one fission is also higher in fast reactors than in thermal reactors. These two features are of importance in the neutron economy and contributes to the fact the fast reactors have a large excess of neutrons in the core. 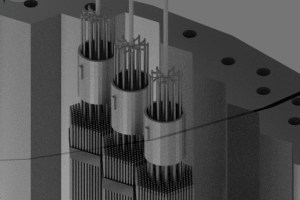 The superior neutron economy of a fast neutron reactor makes it possible to build a reactor that, after its initial fuel charge of plutonium, requires only natural (or even depleted) uranium feedstock as input to its fuel cycle. Russian BN-350 liquid-metal-cooled reactor was operated with a breeding ratio of over 1.2. All commercial light water reactors breed fuel, but they have low breeding ratios. 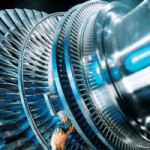 In recent years, the commercial power industry has been emphasizing high-burnup fuels (up to 60 – 70 GWd/tU), which are typically enriched to higher percentages of U-235 (up to 5%). As burnup increases, a higher percentage of the total power produced in a reactor is due to the fuel bred inside the reactor. At a burnup of 30 GWd/tU (gigawatt-days per metric ton of uranium), about 30% of the total energy released comes from bred plutonium. At 40 GWd/tU, that percentage increases to about forty percent. This corresponds to a breeding ratio for these reactors of about 0.4 to 0.5. Light water reactors with higher fuel burnup (up to 60 GWd/tU) have a conversion ratio of approximately 0.6. That means, about half of the fissile fuel in these reactors is bred there. This effect extends the cycle length for such fuels to sometimes nearly twice what it would be otherwise. MOX fuel has a smaller breeding effect than 235U fuel and is thus more challenging and slightly less economic to use due to a quicker drop off in reactivity through cycle life. In LWRs, the fuel temperature influences the rate of nuclear breeding (the breeding ratio). 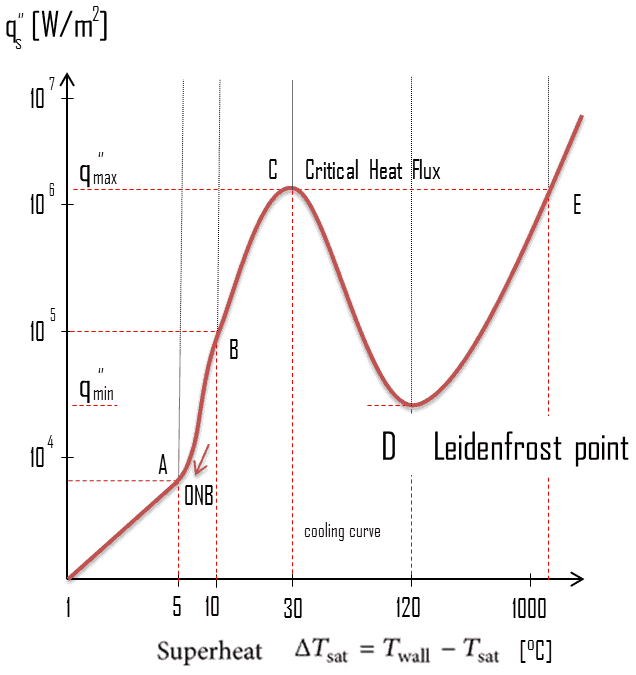 In principle, the increase is the fuel temperature affects primarily the resonance escape probability, which is connected with the phenomenon usually known as the Doppler broadening (primarily 238U). 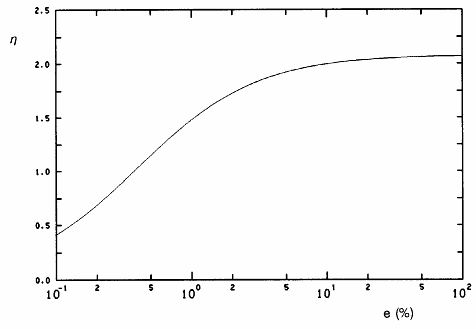 The impact of this resonance capture reaction on the neutron balance is evident, the neutron is lost and this effect decreases the effective multiplication factor. 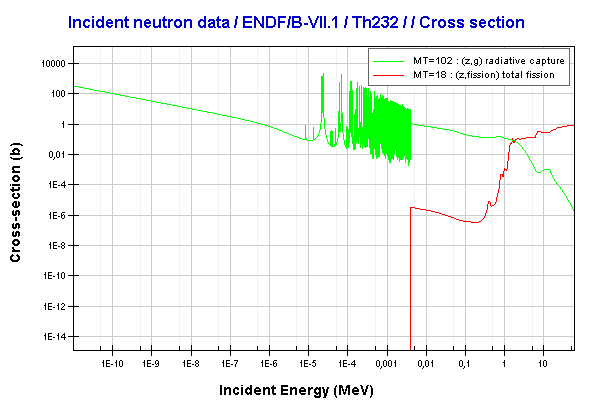 On the other hand, this capture leads to formation of unstable nuclei with higher neutron number. Such unstable nuclei undergo a nuclear decay, which may lead to formation of another fissile nuclei. This process is also referred to as the nuclear transmutation and is responsible for new fuel breeding in nuclear reactors. From this point of view, the neutron is utilized much more effectively when captured by 238U than when captured by absorbator, because the effective multiplication factor must in every state equal to 1 (Note that in PWRs the boric acid is used to compensate an excess of reactivity of reactor core along thefuel cycle). In other words it is better to capture the neutron (lower an excess of reactivity) by 238U, rather than by 10B nuclei. Fuel-cladding gap. As the fuel burnup increases the fuel-cladding gap reduces. This reduction is caused by the swelling of the fuel pellets and cladding creep. Fuel pellets swelling occurs because fission gases cause the pellet to swell resulting in a larger volume of the pellet. At the same time, the cladding is distorted by outside pressure (known as the cladding creep). These two effects result in direct fuel-cladding contact (e.g. at burnup of 25 GWd/tU). The direct fuel-cladding contact causes a significant reduction in fuel temperature profile, because the overall thermal conductivity increases due to conductive heat transfer. Core inlet temperature. 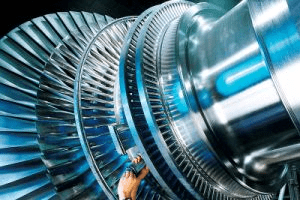 Core inlet temperature is directly given by system parameters in steam generators. When steam generators are operated at approximately 6.0MPa, it means the saturation temperature is equal to 275.6 °C. 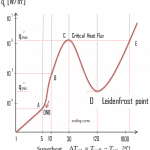 Since there must be always ΔT (~15°C) between the primary circuit and the secondary circuit, the reactor coolant (in the cold leg)have about 290.6°C (at HFP) at the inlet of the core. As the system pressure increases, the core inlet temperature must also increase. This increase causes slight increase in fuel temperature. It can be summarized, the fuel breeding is lower, when the reactor is operated at lower power levels. Note that, in order to lower the reactor power, additional absorbators must be inserted inside the core. The fuel breeding is higher (e.g. 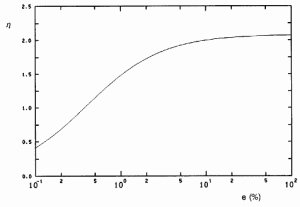 1 EFPD surplus), when the core inlet temperature of the reactor coolant is higher (e.g. 1°C for 300 EFPDs). It must be added, the inlet temperature is limited and it cannot be changed arbitrarily. Instead of increasing fuel temperature a reactor can be designed with so called “spectral shift control”. The main idea of the spectral shift is based on neutron spectrum shifting from the resonance energy region (with lowest p – resonance escape probability) at the beginning of the cycle to the thermal region (with highest p – resonance escape probability) at the end of the cycle. In pressurized water reactors, chemical shim (boric acid) as well as burnable absorbers are used to compensate an excess of reactivity of reactor core along the fuel burnup (long term reactivity control). From the neutronic utilization aspect, compensation by absorbing neutrons in a poison is not ideal, because these neutrons are lost. For better utilization of the neutrons, these neutrons can be absorbed by fertile isotopes in order to produce fissile nuclei (in radiative capture). These fissile nuclei would contribute to obtain more energy from the fuel. PHWRs (Pressurized Heavy Water Reactor) generally use natural uranium (0.7% U-235) or slightly enriched uranium oxide as fuel, hence needs a more efficient moderator, in this case heavy water (D2O). As was written, for natural uranium in the thermal reactor η = 1.34. Due to the favourable neutron management (very low parasitic capture), caused by online refueling and consequent reduced requirements for control poisons to compensate excess reactivity, an application of natural uranium is possible and these reactors attain a relatively high conversion factor of about 0.9. As was written, the conversion factor in a light water reactor is about 0.5, i.e. the production of new nuclear fuel is much less than its consumption. This is caused, among other things, by the relatively low value of the neutron yield factor. 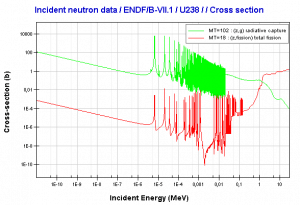 For a fast neutron spectrum, there are differences in both the number of neutrons produced per one fission and, of course, in the capture-to-fission ratio, which is lower for fast reactors. The number of neutrons produced per one fission is also higher in fast reactors than in thermal reactors. These two features are of importance in the neutron economy and contributes to the fact the fast reactors have a large excess of neutrons in the core. The breeding ratio in these reactors can vary over a rather wide range, depending on the neutron energy spectrum. A large breeding ratio favors a hard neutron spectrum. 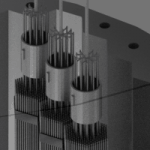 The superior neutron economy of a fast neutron reactor makes it possible to build a reactor that, after its initial fuel charge of plutonium, requires only natural (or even depleted) uranium feedstock as input to its fuel cycle. Russian BN-350 liquid-metal-cooled reactor was operated with a breeding ratio of over 1.2.